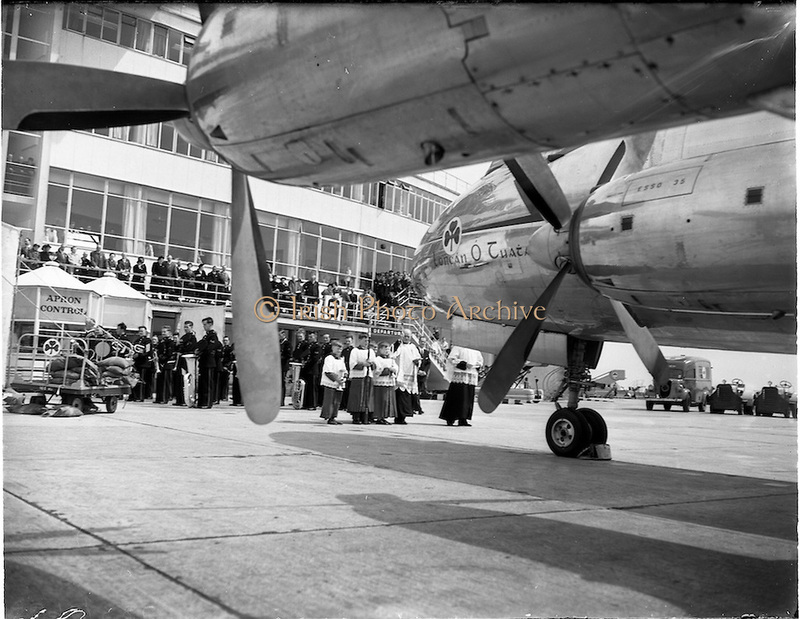 783 - 1955 Blessing of the Aer Lingus fleet at Dublin Airport. Blessing of the Aer Lingus fleet at Dublin Airport. Picture shows the Lorcan O Tuatail being blessed outside the terminal.